That’s not a typo, but the implied semantic difference between adaption and adoption are intended. I have this perhaps contentious position that production and publication CAD and Civil 3D standards are really about managed, consistent, and known current States. I admit to an experiential bias. I build and maintain the Framework for Civil 3D – an engine and tool chest which others build their standards from. My personal economic survival depends on the capability of our product to make it so. I find that the thorny issues behind the challenges to production and publication CAD and Civil 3D standards are about people, their habitual behavior, and not necessarily about resistance to technology. The Permanence of Property is an illusion of practical circumstance - a construct of our own creation. The more robust, flexible, and advanced the software, the more the Transient the Nature of Property. What I mean by properties here are and the many things we can set for a layer, an STB plotstyle, a CTB color, ad nauseum. I could say ad infinitum - the real-world issue. Productive software users need managed, consistent, and known current States. All users experience software with a Permanence of Property bias. With new staff this means we recognize their emotional battle to build a new one. A Layer Standard makes sense or it is a thing of chaos I struggle to understand and employ. A case in point: CTB makes sense to me. STB does not. If I cannot do my job, I will try change it to perform as I expect it should. 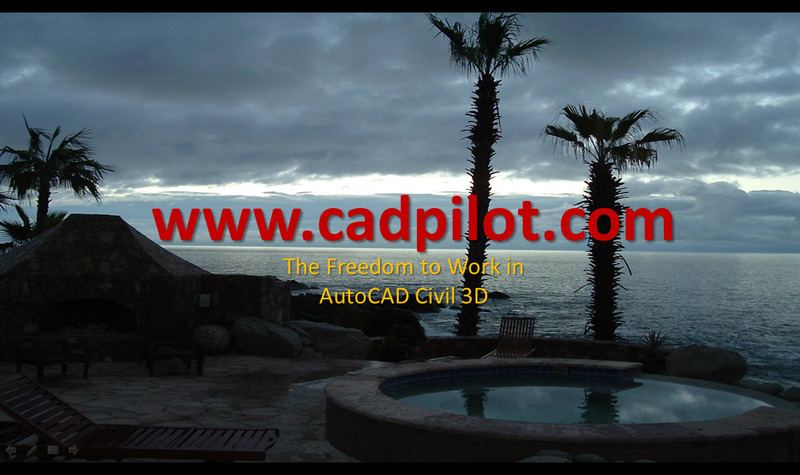 Practically, in AutoCAD and Civil 3D CTB and STB standards are different known States. As long as they are consistent and can be employed managed by trained users they are both effective. The technical fact the STB has more properties than CTB points to the fact that more choice isn’t often compatible with our existing Permanence of Property bias. I had a Framework customer call the other day with some questions about the NCS Layer System and it’s relationship to the Framework Style tools. He also some complaints about the number of layers too. I informed him that for his purposes the Civil 3D Styles don’t care about Layer properties. These are independent and dynamic. I suggested that he just change the supplied Layer States. All the properties of Layers in AutoCAD are not a static. We know this. We have learned to use the Layer Manager tool to tweak properties around to get the job done. The amount of user time spent in the use of the Layer Manager is often staggering. Better and more adaptive systems avoid and reduce this. I like to point out that the Layer Manager’s name is partly a misnomer. While the LA tool does manage Layers, the tool itself is not really well-managed. Back in the day, Autodesk discovered it was better, or at least more profitable, to make the management problem a user responsibility. I will admit to being partially culpable in the layer states madness that followed. Autodesk does supply basic tools. The saved external results are portable and manageable. Layer States and the LM tool help us automate and truly manage the whole Layer thing so these things can become a consistent, known current State. If we mess things up, we have Layer Standards files and the Standards Checker to get us back to a past consistent, known current State. We have Layer Filters that allow us to sort and reduce the detail and complexity. Layer Filters also allow us to QA and validate consistency within a Layer system. Autodesk marketing would trumpet the benefits of the level of detailed management in the tools. The somewhat terrifying reality is the collected properties are truly dynamic. WTMI. Autodesk would say they are customizable. Thank God. We can externalize the management and building of the system. The Framework for Civil 3D employs Key and Pattern Rules which creates and allows for a managed system. We include powerful Layer Standards Spreadsheet Tools that allow you to change the Keys, the Pattern, and the even the Rules to create a managed system in your own image. For most this is often unnecessary. We just need the consistent, known current States that allow us the freedom to work without hassling all the picky little details. That Transient Nature of Properties is manageable with the Framework for Civil 3D. It was built from the ground up with that exact problem and real-world production benefit in mind. Imagine that. Once upon a time a list of Key-based Property Layer Filters in the classic .LFT (lift) format shipped with the Framework. We employ Layer Filters as consistency and quality control checks. You can download an example Civilized NCS Keys .LFT file here. The WTMI Layers issue can be solved by the Layer Filter tools inside the Layer Manager as the rather tongue and cheek Too Many Dang Layers post contends. That post also points to other posts that cover the reasons and conceptual mechanics behind Key-based Patterned Layer systems. That is perhaps more than you really want to know.